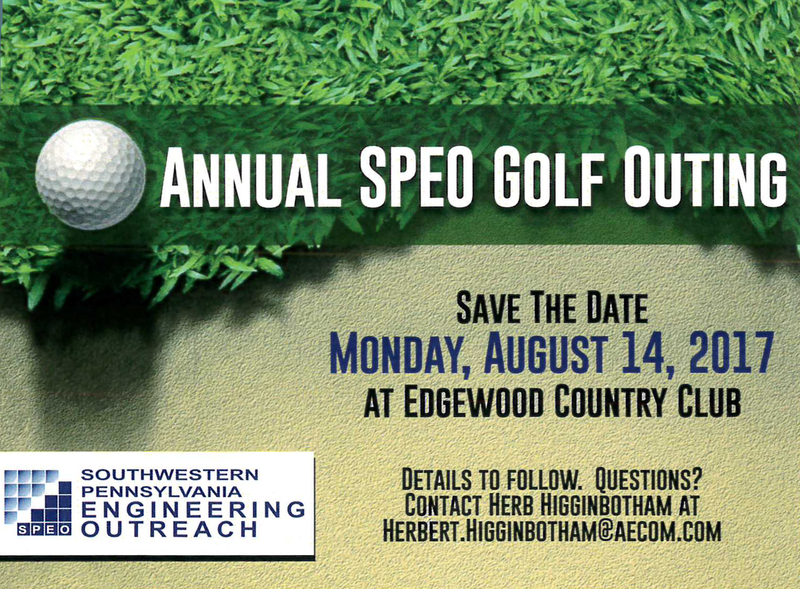 Registration is Open for the 2017 SPEO Annual Golf Outing! Home/ Registration is Open for the 2017 SPEO Annual Golf Outing! In addition to tournament prizes, we will raffle prizes donated for this event. The raffle will include a variety of items from our members and the community. If you desire to contribute a prize (or prizes), please contact Danielle List at 412-644-3013 or listd@pbworld.com.